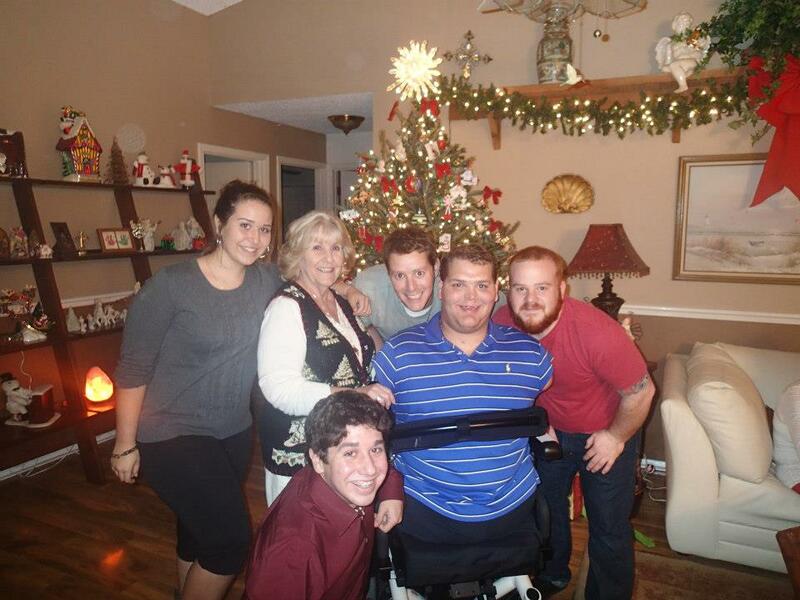 Making your home more accessible for Holidays guests | Custom Mobility Inc. The holiday season is upon us. If your family is anything like mine, that means spending an extended period of time with parents, siblings, aunts, uncles, cousins, and other, extended family members. To wheelchair users, it can be daunting, or impossible, to spend a lot of time in settings that are either unfamiliar or inaccessible. If you are hosting a holiday party, you want to be sure that everybody feels included in the festivities. Here are some guidelines, designed to determine whether your house can effectively host a wheelchair-accessible, holiday gathering. As a wheelchair user, I must constantly be aware of my environment, in ways that able-bodied people aren't. Mundane items, such as paths and walkways, will impact whether a wheelchair user can access your home. Though pavers may appear to lead a nice path to your front door, they can make it difficult for a person in a wheelchair to navigate. Tires and underlying fixtures of a wheelchair can get stuck on the spaces between pavers, or be too narrow for the wheels to effectively traverse. Gravel, sand, and soft dirt can be extremely difficult or impossible for most chairs to span, causing them to sink. Sidewalks are recommended, and should be a minimum of 32-inches-wide to comfortably accommodate the width of a typical wheelchair. Additionally, grass may make it too difficult for some wheelchair users to propel themselves, so don't assume that lawns are a viable alternative to a proper sidewalk. Lawns may also have dips and holes that are difficult to see, which may lead to hazardous situations, such as flipping over. If the wheelchair user will have to navigate your driveway, be sure to leave ample room, in between vehicles. Most homes that I've been to, in Florida, have at least a single step leading to the front door. For those of us in wheelchairs, steps can severely limit access. If you know that you are visiting a family member's home, who has either a step or a series of steps leading to her/his front door, come prepared. Voice your concern to that person, and if she/he does not have a solution, take it upon yourself to purchase, borrow, or make a ramp. If you need assistance to accomplish any of these tasks, ask a family member, friend, or caregiver for assistance. Be mindful of outdoor spaces. If there is a path leading to a porch or outside area, be sure that it is accessible. A wheelchair user should not be restricted to an indoor area, if the majority of your company is congregating outside. Similar to the entryway, the door leading to porched area should have a width of at least 32 inches, and a ramp should be placed, if either a step, or series of steps, prevents access. The standard for a ramp incline, established by the Americans with Disabilities Act, and intended for public spaces, is 5 degrees. To ensure the wheelchair user's safety, use this measurement when constructing an accessible ramp. Under no circumstances should anybody, ever remove the anti-tippers/wheelie bars from a wheelchair. If you feel that the anti-tippers are preventing a wheelchair user from entering your home, the ramp or step is too steep. To remedy the situation, build or purchase a ramp that is more appropriate for that, specific area. Similar to sidewalks, entryways and doors should have a width of 32 inches, while hallways should be 36 inches wide. This discrepancy in measurements is important to note, because extra room is needed to effectively maneuver. Once inside, the arrangement of furniture should accommodate the size and width of the wheelchair. Be sure to have ample space between items in the living area, so that the individual's mobility is not relegated to a single area. Restrooms may be difficult for wheelchair users to navigate. While traditional bathrooms may not have the correct equipment to completely accommodate all needs, it could help to check on a few details. Again, it can't be assumed that every home will have a wheelchair-accessible restroom. For one, modifications to an existing bathroom can be expensive. It may be out of your budget to purchase and install grab bars, enlarged toilet seats, or accessible controls for the sink. As a model, let's use the ADA's standard for public restrooms. Start by checking the width of the bathroom door, which should be 32 inches to accommodate most wheelchair users. The ADA states that, to accommodate the turning radius of a standard-width wheelchair, the interior of accessible bathrooms should measure 60 inches wide, and 56 inches deep. If the dimensions of your bathrooms do not meet these standards, let your guest know. This notification might give her/him the opportunity to make accommodations. While a wheelchair user should not be doted on, check to ensure that she/he is comfortable. Realistically, if you are an able-bodied person and are hosting the gathering, you can't be expected to live in a wheelchair-accessible home. Proper host etiquette requires you to check on the comfortability of every guest. Use this time to address any concerns that you may have, regarding your home's accessibility. Common, innocuous questions that concern your guests' comfortability, include phrases, such as: "Are you enjoying yourself?" and "Can I get you anything?" Because these questions are asked of every guest, they are far more appropriate than asking a wheelchair user: "Do you need help?" or "How can I help you?" Be sure to arrange food, drinks, plates, silverware, etc., at an appropriate height. To provide a guideline, the ADA states that an accessible table for a restaurant may range anywhere between 28-34 inches tall. If possible, try to place items closer to the edges of the table, as these will be easier for a wheelchair user to reach. If you are uncomfortable with your home's layout, and feel that you can't accommodate a family member or friend who uses a wheelchair, it may be appropriate to suggest an alternate location for your festivities. Either offer to assist with the preparations at somebody else's home, or find an accessible venue to host the event. Custom Mobility began specializing in custom, adaptive wheelchairs, in 1990, after starting a division in the early 1980s. In July 2002, the company moved into a new, 28,000 sq. ft. facility in Largo, FL. This space was built to specifically accommodate retail sales, service, and light manufacturing. © 2018 Custom Mobility Inc. All Rights Reserved.